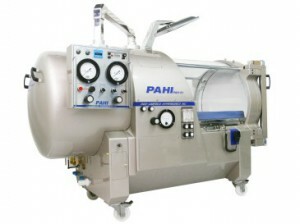 The PAH-M10+2 Multiplace Oxygen Chamber is fully functional in high-demand environments and can treat up to 10 patients simultaneously in its large treatment room. 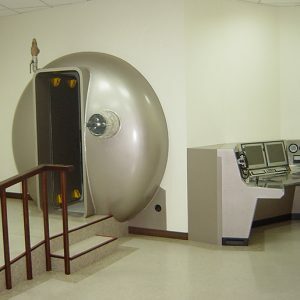 The Pan-America Hyperbarics PAH-M3+1 Multiplace Oxygen Chamber is a flexible hyperbaric chamber system option that is perfect for busy medical facilities of all sizes. 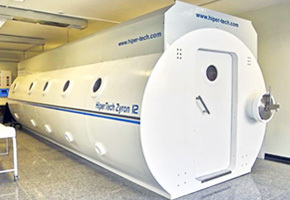 The Pan-America Hyperbarics PAH-S1 Monoplace Hyperbaric Oxygen Chamber was designed with several useful features, including a customizable environmental control system and the option to select gas or air. 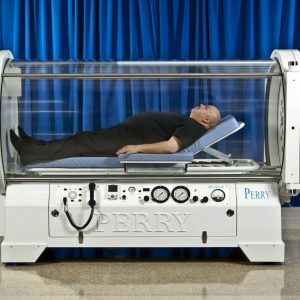 The Perry Sigma 36 Hyperbaric Chamber includes customizable options and new and improved refinements to the overall system. 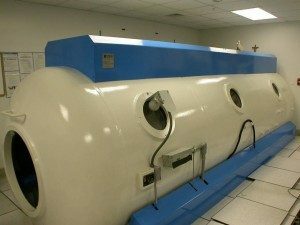 The technologically advanced Sigma 40 Hyperbaric Chamber from Perry Baromedical was developed with customizable controls that allow for the highest level of safety and comfort experienced in hyperbaric treatment. 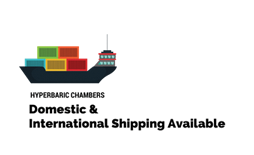 The Sigma Elite Chamber System, from Perry Baromedical, is a complete system of pneumatic chambers designed for the highest level of efficiency and control. The Reimers 12000T Series is the best option for clinics or hospitals looking for chambers that can accommodate the most patients at a time, seating between 19 and 31 patients and space for five medical attendants. The Reimers 6000D Series is a smaller dual-lock chamber that is ideal for use in smaller clinical settings where there is often a need to treat multiple patients with oxygen therapy at the same time. The Reimers 6000S Series is a single lock system is suitable for treating adults and kids alike, including smaller children. 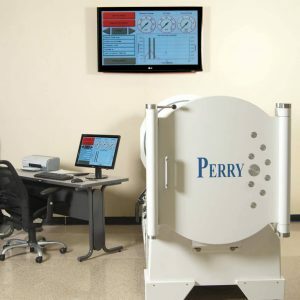 The Reimers Systems 7800D Series has a medium-sized footprint coupled with the ability to treat up six patients in a seated position at the same time, ideal for many hospital settings and treatment centers. The Reimers 7800S Series is designed to have a moderate footprint on the floor of your facility along with excellent headroom. 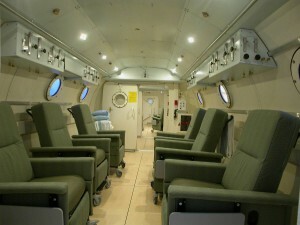 The system can accommodate up to six patients plus one attendant in a seated position or one patient in a gurney.